I am often asked how I manage working from home. 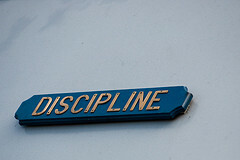 People tell me that they aren’t disciplined enough to do it and that they would goof off all day. There is no magical solution as to whether you have the discipline or not. And how I deal with this issue is really quite simple.